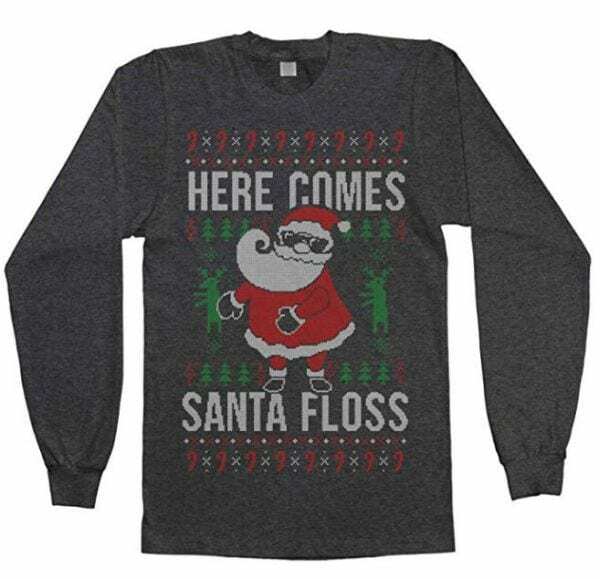 For your holiday staff party and beyond. 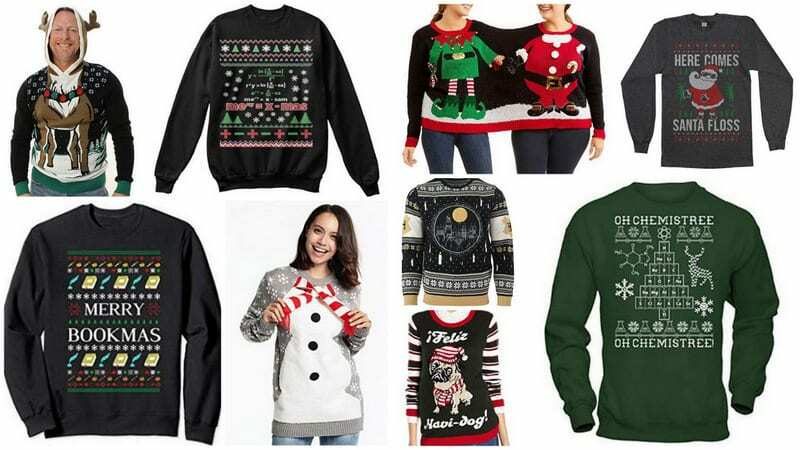 Remember those ugly holiday sweaters your grandma used to buy you back in the ’80s? Well, they’re back, and this time they’re trendy! 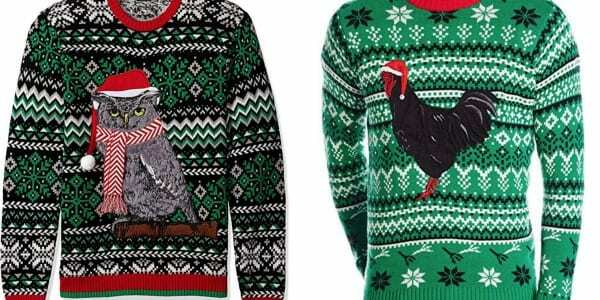 Folks are wearing ugly sweaters proudly these days, and the tackier the better. 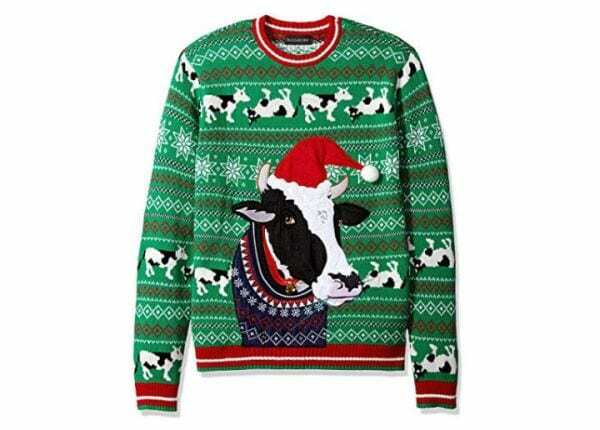 To help you get ready for ugly sweater day, we’ve rounded up some of the best options you can buy online. We even threw in a few sweatshirts and T-shirts for those of you who don’t do sweaters. Enjoy! WeAreTeachers receives a small percentage of your purchase when you shop through the Amazon Affiliate links shown here, but our recommendations are based on products we love. Don we now our teacher apparel! 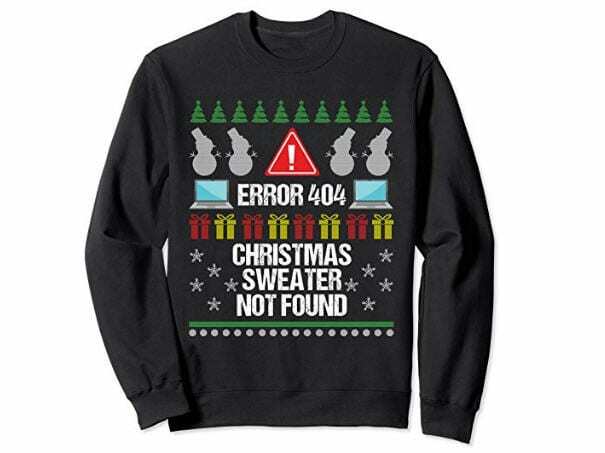 Stay cozy and show off your love of all things teaching with this ugly sweater. Your little ones know that even barnyard animals love the holidays! 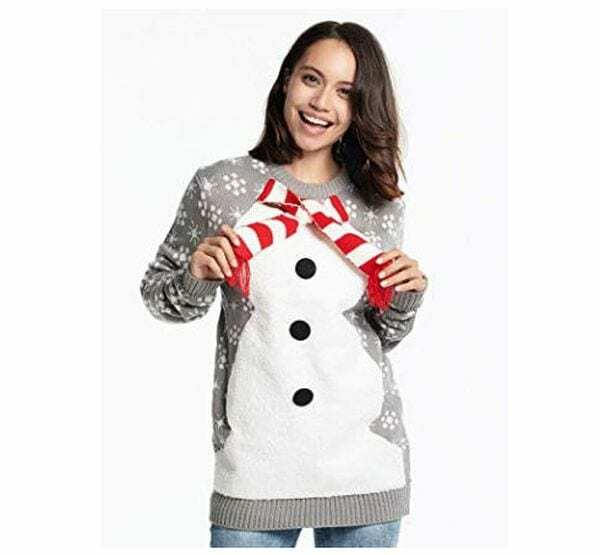 This silly sweater will crack them up. School bells ring. Are you listening? 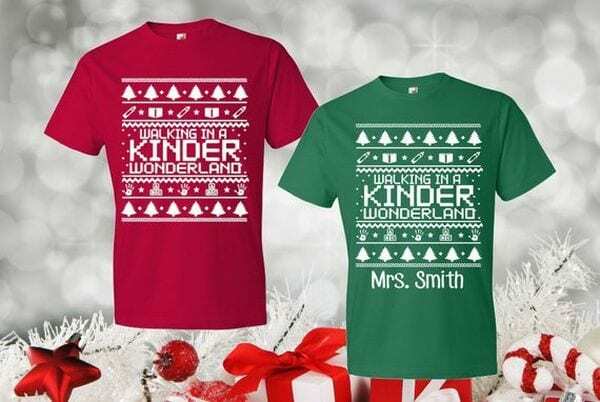 This tee is great for busy teachers who don’t need a sweater to stay warm. Later we’ll have some pizza pie, and we’ll do some caroling! This sweatshirt comes in a variety of colors and won’t break the bank. 6. 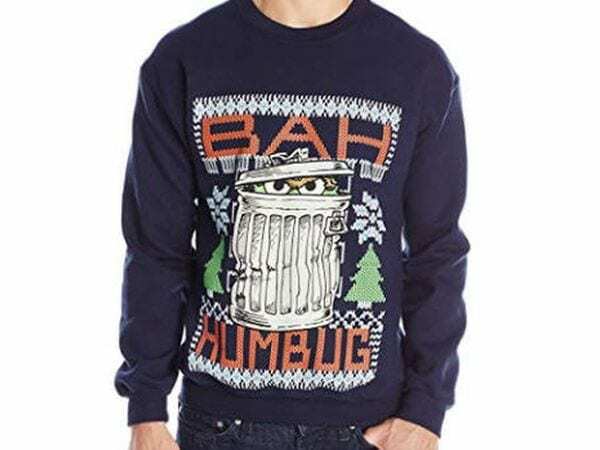 You’re a Mean One, Mr. Grouch. Surely Oscar the Grouch and the Grinch are friends, no? Wee ones will get a kick out of seeing a Sesame Street character “celebrating” the holidays. 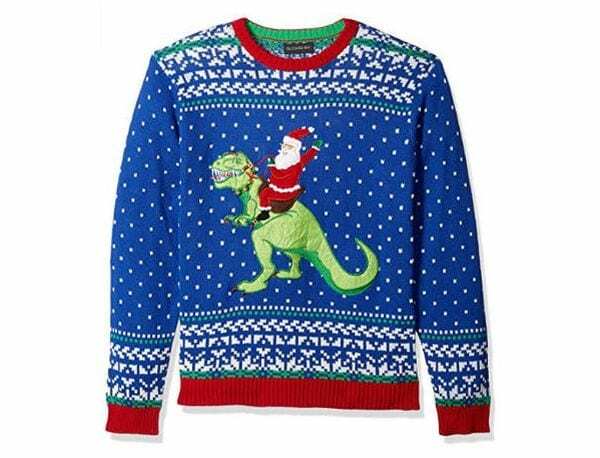 You can say there’s no such thing as dinosaurs these days, but Santa—and Grandpa—know better! 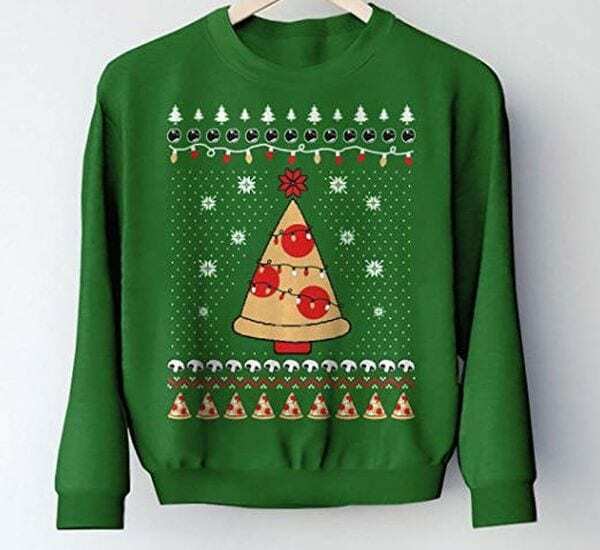 This sweater comes in a variety of styles, too. 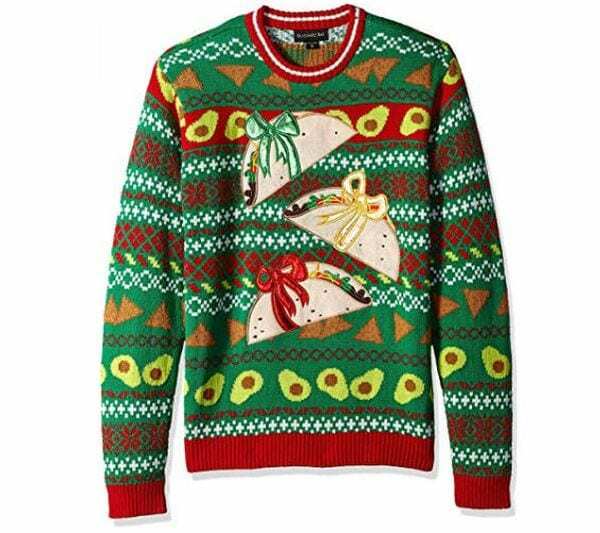 All I want this holiday season is for every day to be Taco Tuesday. Is that too much to ask? 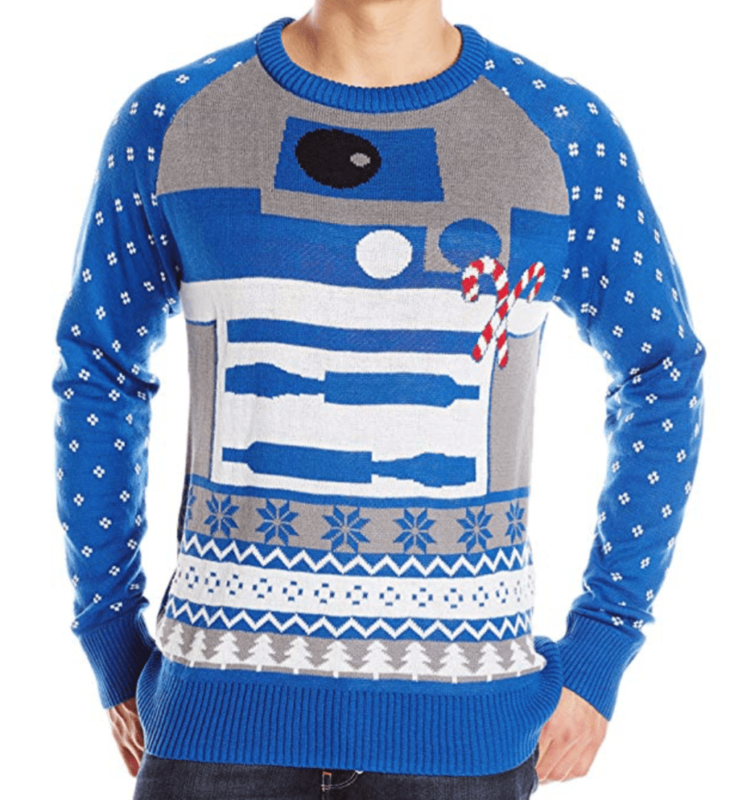 OK, fine, I’ll settle for this ugly sweater instead. Accio holiday spirit! 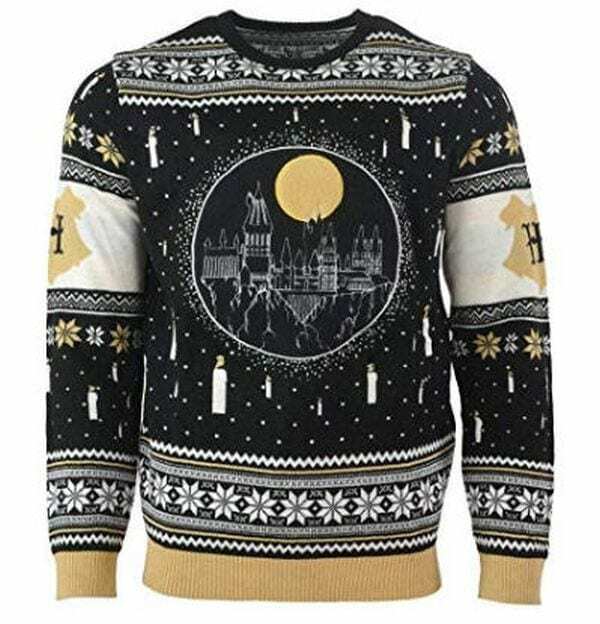 Dazzle your kids with holiday magic when you cry “Lumos” and magically make the candles on this ugly sweater light up (well, you’ll have to push the hidden button, but that’s pretty much the same thing). 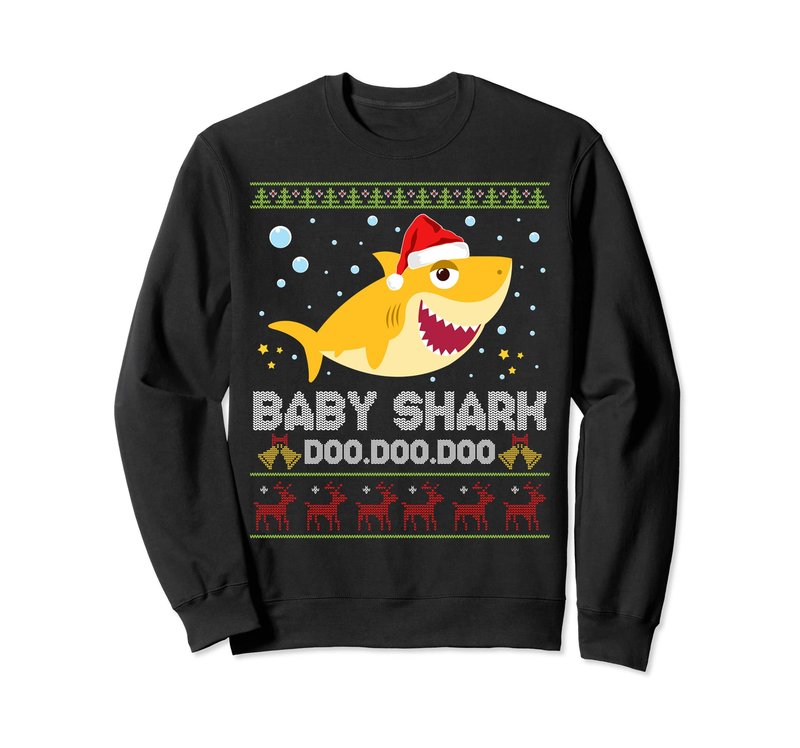 Yes, the “Baby Shark” song has spread all over the world, and there’s an ugly sweater version to show your love. You can choose from multiple colors. 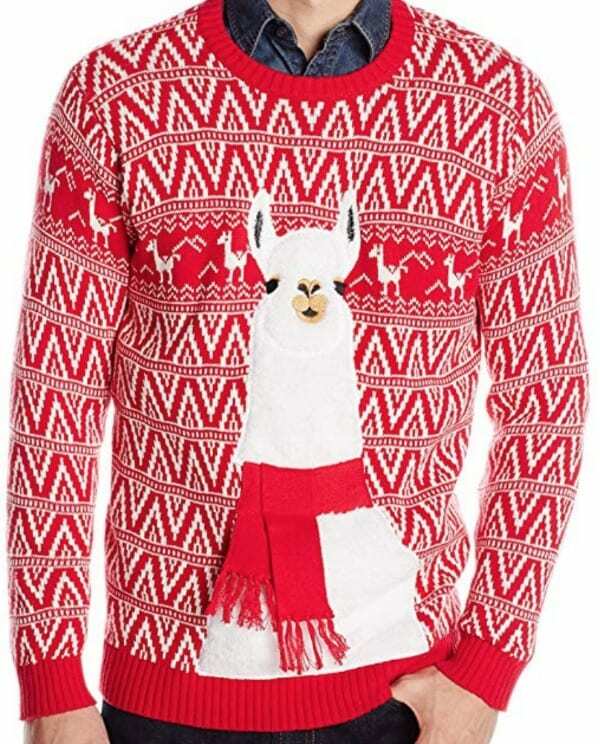 Llamas are very in right now, and you can show your love for them through an ugly sweater. There are a few great options to choose from, including the one pictured above. How do you choose between a chicken and an owl? They’re both great options and offered by the same company on Amazon. 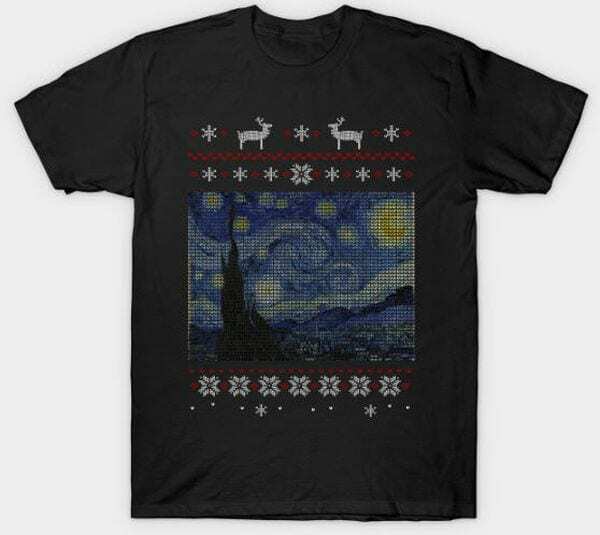 Van Gogh tell it on the mountain—this ugly-sweater T-shirt is perfect for art teachers and anyone who loves impressionist works. 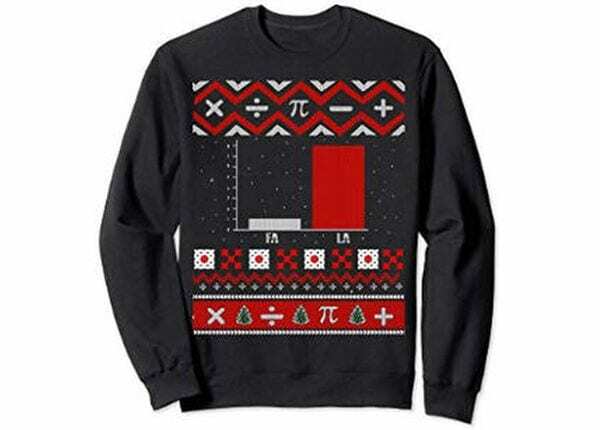 An ugly-sweater sweatshirt that actually teaches math? Count us in! 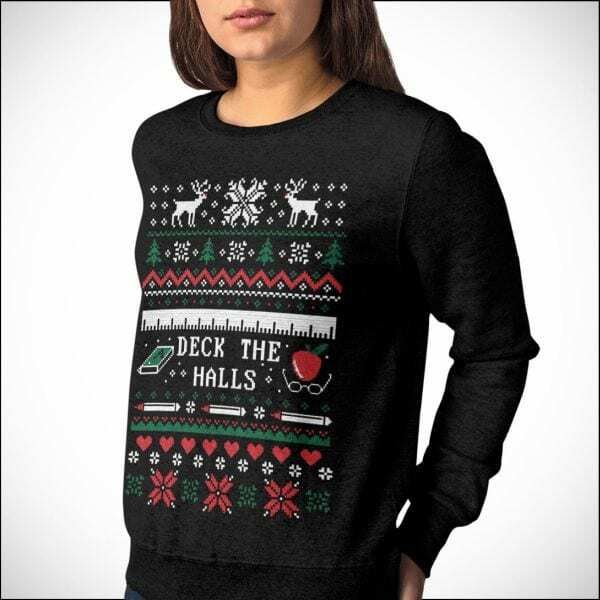 Tally up the number of times “fa” and “la” appear in “Deck the Halls,” and you’ll see that this shirt is right on the money. 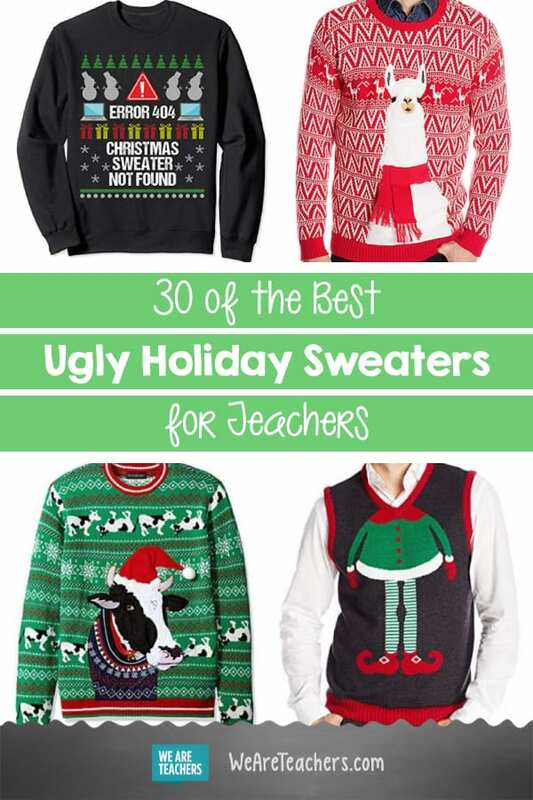 Be the jolliest, happiest soul in your classroom with this most adorable of ugly sweaters. You can wear this one all winter long. 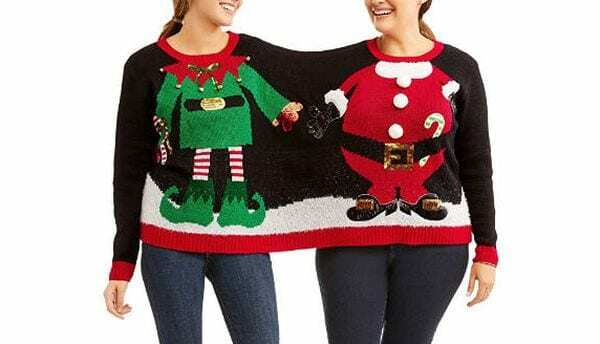 Grab your teacher BFF and don this hilarious ugly sweater for two. 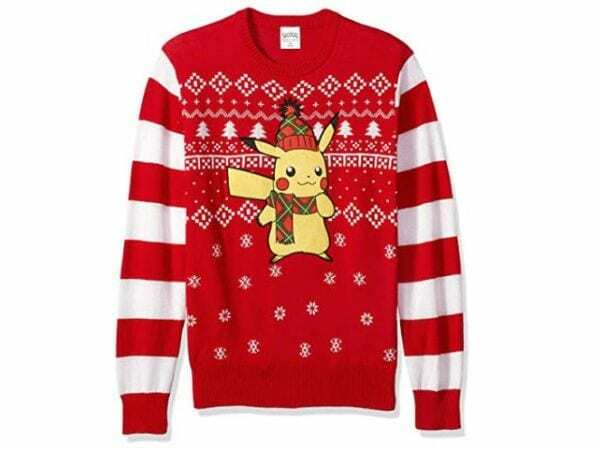 This is a sure bet to win an ugly sweater contest. 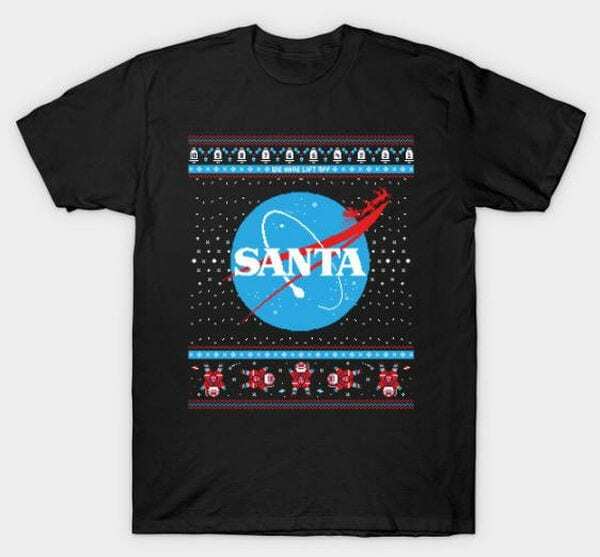 Of course NASA must be involved in helping Santa deliver presents to the entire world in just one night, right? He’s gotta have rocket boosters on his sleigh. 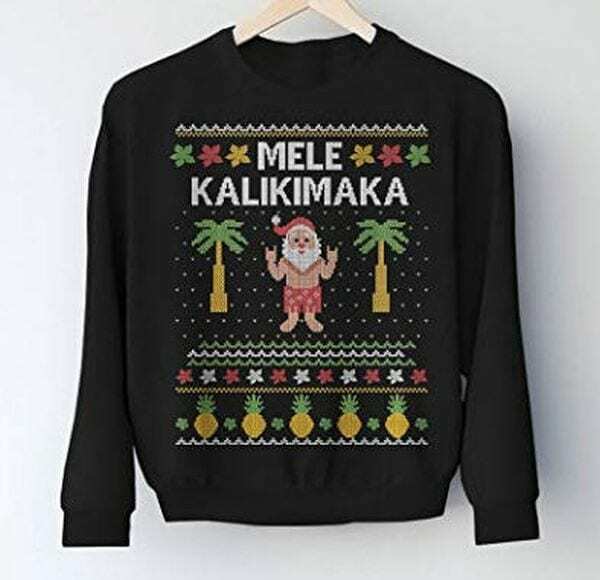 It’s the thing to say on Christmas Day when you’re in Hawaii! Not in Hawaii? 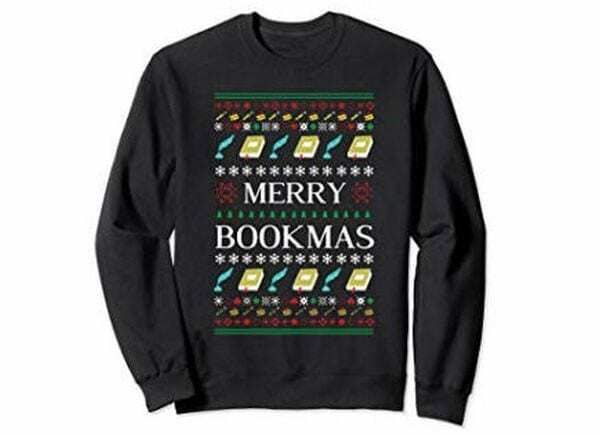 Well, at least you’ll be cozy in this ugly-sweater sweatshirt. 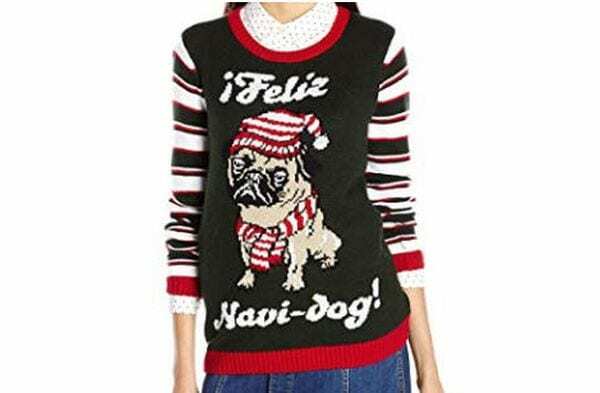 Stop the search for an ugly sweater, Spanish teachers. We’ve found the only one you’ll need. ¡Y prospero año nuevo! Are your kids still doing this dance move? They’ll be thrilled to find out Santa does it, too. 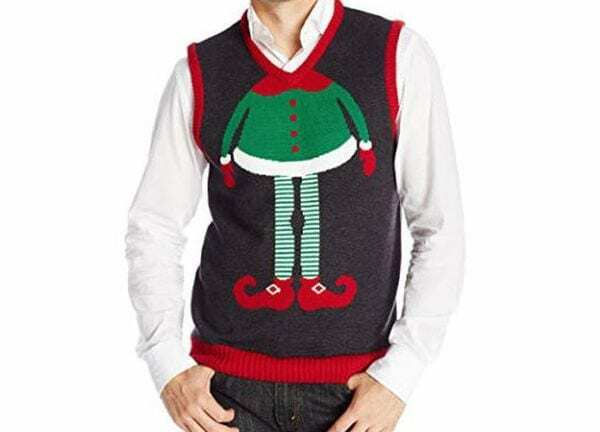 Throw this ugly sweater-vest on over a dress shirt or tee, and you’re an elf! Forget grading papers. You’ve got toys to make. 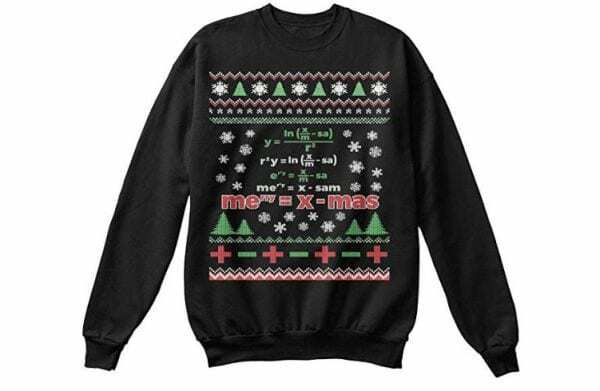 This may be the most complicated of the ugly sweaters, but solve for “X,” and you’ll get a festive message! If Buddy the Elf can’t make you smile, who can? 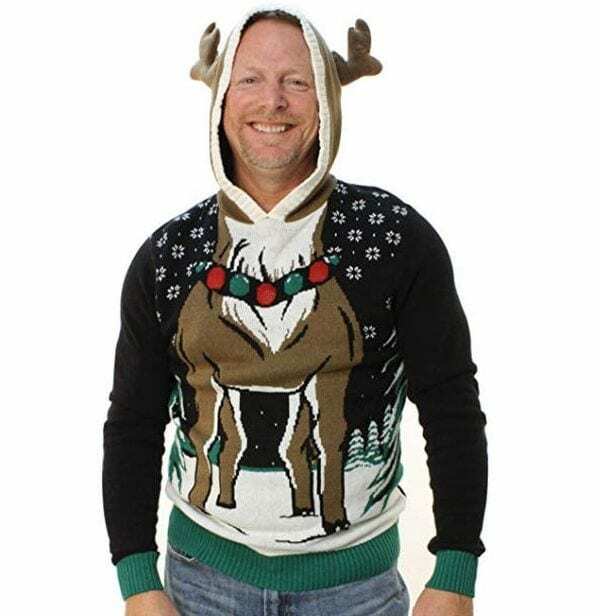 This ugly sweater pays homage to everyone’s favorite elf—sorry, human raised by elves. 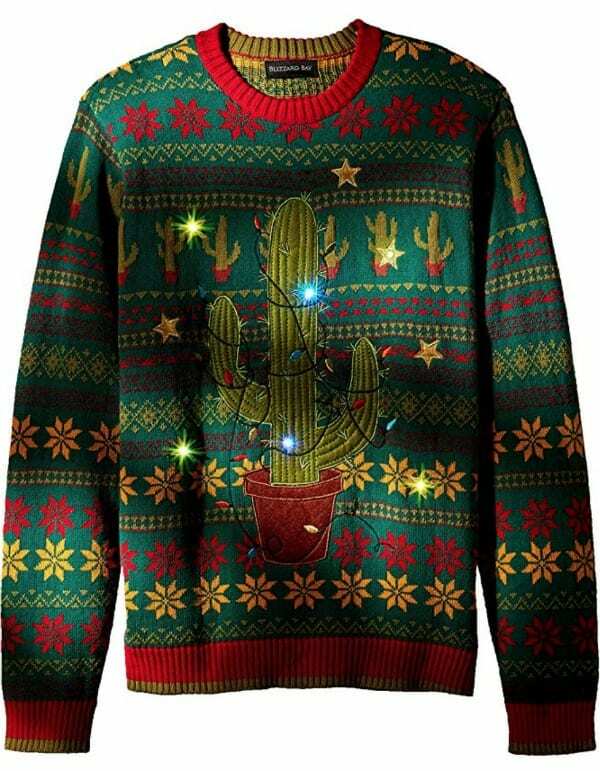 Why yes, this is a light-up cactus sweater. You can find a few southwestern-themed options from this seller. It’s a simple yet refreshing way to show you’re in the holiday spirit. Computer teachers and their students will get a laugh out of this one, which riffs on the 404 File Not Found error message. How lovely are thy elements! 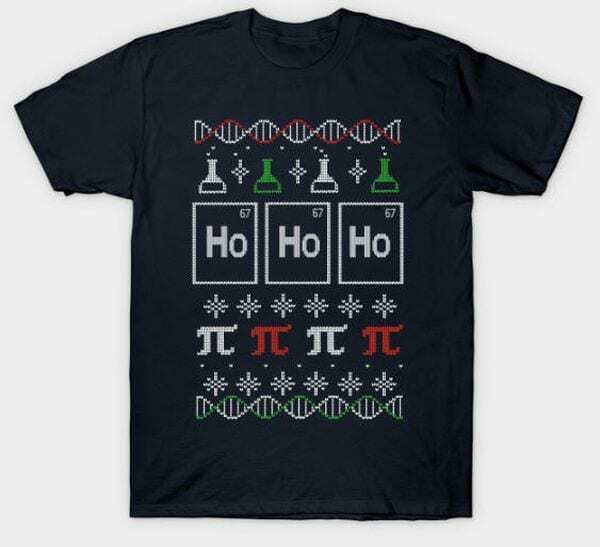 This pun will make any science teacher snicker, and while your students may roll their eyes, they’ll secretly enjoy it, too. 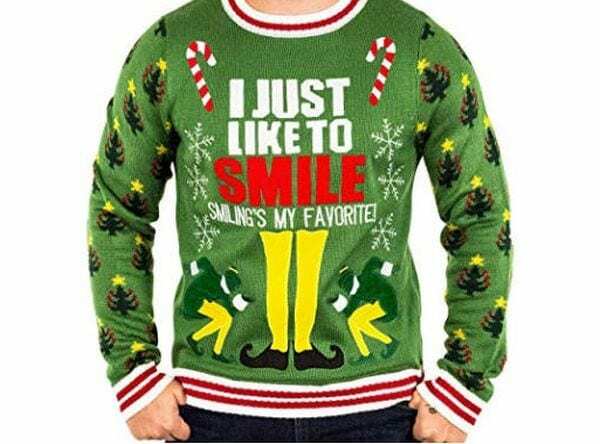 Come and share your ugly sweaters in our WeAreTeachers HELPLINE group on Facebook. Spent all your money on ugly sweaters? 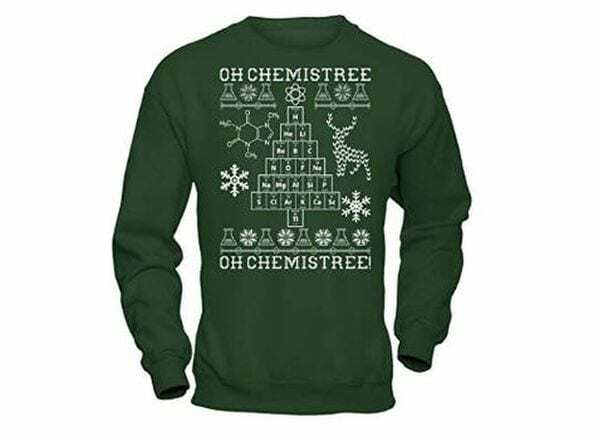 Here are 37 gift ideas for your students that won’t break the bank.